Do GMOs create gluten sensitivity disorders? Are Genetically Modified Foods a Gut-Wrenching Combination? 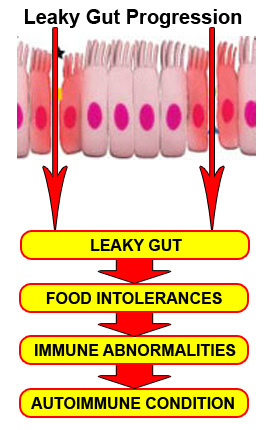 Gluten sensitivity is currently estimated to affect as many as 18 million Americans. Reactions to gluten, a protein found in wheat, rye, and barley, are becoming increasingly common. Gluten sensitivity can range in severity from mild discomfort, such as gas and bloating, to celiac disease, a serious autoimmune condition that can, if undiagnosed, result in a 4-fold increase in death. Genetics alone cannot explain the rapid rise in gluten-related disorders, and experts believe that there must be an environmental trigger. There continues to be much debate about what that environmental trigger may be. Some assert that a higher gluten content of modern wheat is to blame for the rising prevalence of gluten-related disorders. But a 2013 review of data commissioned by the United States Department of Agriculture found no evidence to support this. Others blame increased consumption of wheat overall, age of wheat introduction, cesarean birth, breastfeeding duration, or alterations in intestinal microflora. All of these do offer some explanation, but they cannot completely account for the drastic increase in gluten sensitivities that we have seen in recent years. Another possible environmental trigger may be the introduction of genetically modified organisms (GMOs) to the American food supply, which occurred in the mid-1990s. GMOs are created by a laboratory process that transfers genetic material into the DNA of an organism. There are nine genetically modified (GM) food crops currently on the market: soy, corn, cotton (oil), canola (oil), sugar from sugar beets, zucchini, yellow squash, Hawaiian papaya, and alfalfa. Notice that wheat is not one of these. Although wheat has been hybridized through natural breeding techniques over the years, it is not in fact a GMO. A ban on genetically modified crops is not the most radical part of Measure 2-89. The most radical part of the Benton County ballot measure is its attempt to circumvent state law by asserting a fundamental right of local self-governance, even in the face of state or federal law. If passed by voters in the May 19 special election, Measure 2-89 — also known as the Benton County Local Food System Ordinance — would prohibit corporations and government entities from using genetically modified organisms anywhere in the county and require them to harvest, remove or destroy all GMOs within 90 days of passage. 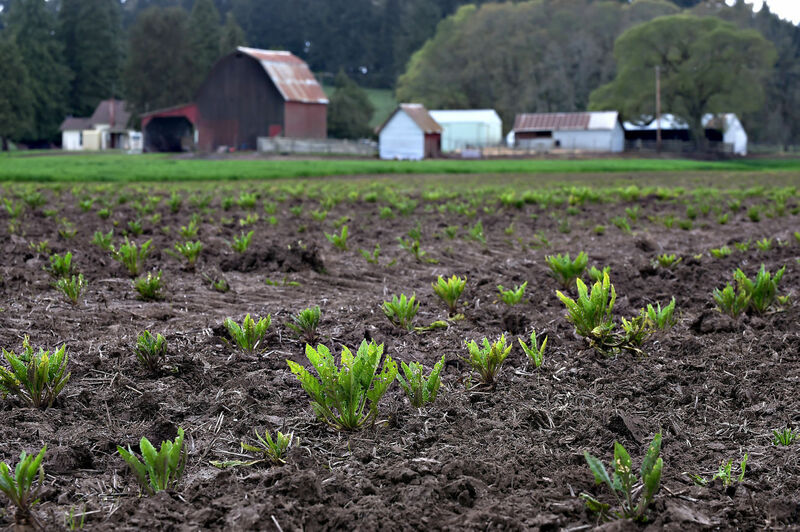 But in order for the measure to take effect, it would have to override Oregon Revised Statute 633.738, a two-year-old state law that bars local jurisdictions from regulating seeds or agricultural production. The question, of course, is this: Can they really get away with that? Global rejection sent Monsanto profits plummeting, farmers abandoning GM crops in record numbers, reclassification of glyphosate as probable carcinogen triggering fresh calls for bans and restrictions; GMOs failing old and new, while organic and non-GMO markets continue booming; the days of GMOs are numbered, let’s hasten the demise. Carcinogens in 80 percent of your food? Two days ago, an agency of the World Health Organization issued a report concluding that glyphosate, the key ingredient in Monsanto’s Roundup, likely causes cancer in humans. If you eat foods that contain genetically modified organisms (GMOs), you are consuming glyphosate—because the U.S. EPA not only allows glyphosate residue on your food, the agency actually raised the allowed limits in 2013. How do you know you’re eating GMO foods? You don’t. Because Monsanto and the EPA, USDA and FDA made certain of that by refusing to require labels on GMO foods. Even though about 80 percent of processed foods in the U.S. contain GMO ingredients. You may be thinking, is it worth it to keep funding these state GMO labeling campaigns, when Monsanto and Big Food come in with their hundreds of millions of dollars to snuff them out? The answer is a resounding yes. Here’s why. First, it’s more urgent than ever for your health. The FDA just signed off on the GMO apple and the GMO potato, and will likely sign off on GMO salmon and GMO wheat. This, in addition to new GMO corn and soy varieties the USDA recently approved—crops engineered to withstand massive doses of a toxic combination of both glyphosate and 2,4-D (a form of which was used to make Agent Orange). 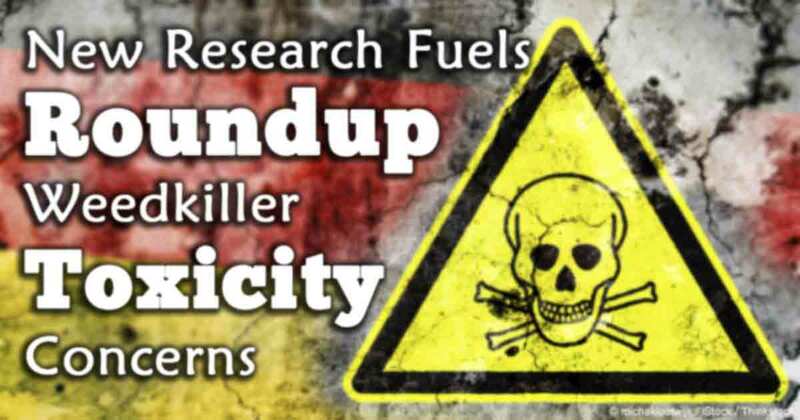 More and more studies are being done on the toxic effect of glyphosate on human health. But this most recent study, from the World Health Organization, may be the most incriminating of all. Yet, we have no indication from the U.S. government that it will heed this new warning and take action. Second, Monsanto’s lobbyists are pushing Congress to pass a law that would kill states’ rights to pass GMO labeling laws. Word is that within weeks, if not sooner, Rep. Mike Pompeo (R-Kan.) will reintroduce what activists have labeled the DARK ACT—Deny Americans the Right to Know. The bill is an attempt to strip states’ of their constitutional right to pass GMO labeling laws. If we pass GMO labeling laws in Maine, Rhode Island and Massachusetts, in addition to the law already passed in Vermont, we’ll make it much more difficult for Congress to take on all four of these states. In what is a clear sign that Pompeo is about to reintroduce his bill, the House Agriculture Committee is holding a full committee hearing on the costs and impacts of GE food labeling, The Gene Giants and Big Food will pack that hearing with their lobbyists. Third, it is absolutely essential that we not give up this fight—your fight—or we risk sending the wrong message to Monsanto, and state and federal lawmakers. We may have (very narrowly) lost several key state battles, but those battles launched a massive national public education campaign, and helped launch similar initiatives and legislative campaigns in more than 20 states. Without the support of people like you—concerned consumers, voters, moms and dads, from every generation and every point across the political spectrum—most Americans still wouldn’t know what a GMO is or why it matters, much less that they are being denied this basic information on food packaging—information that consumers in more than 60 countries rightfully have. Instead, thanks to you, more than 90 percent of Americans are now standing up to demand the right to know. It is absolutely critical that we keep this fight alive. So state and federal lawmakers know that we are serious. That’s why we’re asking for your support so we can provide resources to these important GMO labeling battles in New England. We need to raise another $145,000 to meet our goal of $200,000 by March 31 to fund GMO labeling in Maine, and in other New England states, including Massachusetts. Details on how to donate online, by check or by phone here. Donations made to the Organic Consumers Fund, our 501(c) 4 lobbying arm, are not tax-deductible. If you want to support the grassroots advocacy and education campaigns in these states, you can make a tax-deductible donation to our 501(c)3 here. P.S. These campaigns in New England are urgent. We must stop attempts by Monsanto to strip states of the right to pass GMO labeling laws, especially in light of this new declaration by the World Health Organization that glyphosate probably causes cancer in humans. Within the last 20 years there has been an alarming increase in serious illnesses in the US, along with a marked decrease in life expectancy (Bezruchka, 2012). The Centers for Disease Control and Prevention (CDC) estimates that the cost of diabetes and diabetes-related treatment was approximately $116 billion dollars in 2007. Estimated costs related to obesity were $147 billion in 2008 and cardiovascular diseases and stroke were $475.3 billion in 2009. Health care expenditures in the US totaled 2.2 trillion dollars in 2007 (CDC, 2013a). The onset of serious illness is appearing in increasingly younger cohorts. The US leads the world in the increase in deaths due to neurological diseases between 1979-81 and 2004-06 for the 55-65 age group (Pritchard et al., 2013). These mental disorder deaths are more typical of the over 65 age group. There have been similar findings for obesity, asthma, behavior and learning problems, an d chronic disease in children and young adults (Van Cleave et al., 2010). Type II diabetes in youth is being called an epidemic (Rosenbloom et al., 1999). The rate of chronic disease in the entire US population has been dramatically increasing with an estimated 25% of the US population suffering from multiple chronic diseases (Autoimmunity Research Foundation, 2012). These findings suggest environmental triggers rather than genetic or age-related causes. During this same time period, there has been an exponential increase in the amount of glyphosate applied to food crops and in the percentage of GE food crops planted (Benbrook, 2012). We undertook a study to see if correlations existed between the rise of GE crops, the associated glyphosate use and the rise in chronic disease in the US. To genetically modify a plant for herbicide tolerance, genes are identified which convey tolerance of the active chemical in the herbicide to the organism. In the case of glyphosate, glyphosate-tolerant genes were isolated from a strain of Agrobacterium. These were inserted into the genome of the plant via a multi-step process resulting in a plant that can withstand the direct application of the herbicide. Genetic modification is also utilised for developing insect resistant plants by using insecticidal proteins from Bacillus thuringiensis, or Bt toxin. The promoter used to drive the expression of the foreign genes is generally the 35S promoter from the Cauliflower Mosaic Virus (CaMV). Not only are the virus and bacteria genes themselves potentially harmful (Ho, 2013; Ewen & Pusztai, 1999), but the plants are sprayed directly with herbicides. The herbicide-tolerant plants absorb the poisons and humans and domestic animals eat them. …. This week sees the publication of the most comprehensive analysis to date of the nutritional composition of organic versus non-organic foods, and the accompanying levels of pesticide contamination. Published in the British Journal of Nutrition by UK scientists (Barański et al., 2014), the meta-analysis involved 343 peer-reviewed studies and found increased antioxidant levels in organic produce, many of which have been linked to reduced risk of chronic diseases. Pesticide levels were four times higher in non-organic produce and toxic metal levels were also significantly higher in non-organic foods. The EU is set to increase the daily acceptable intake [of Glyphosate i.e. Round-Up] by 67 %, going against the independent science showing multiple pathways by which glyphosate causes serious harm to human health. The re-assessment, submitted to the European Safety Authority in January is fatally flawed by conflict of interest (Swanson and Ho, 2014). See Swanson (2014) for details on toxicology. The US is on the verge of approving a new type of genetically modified crop, tolerant to the herbicide 2,4-D (as well as glyphosate). 2,4-D has already been associated with many illnesses including cancers, as summarised by Cummins (2012). A report by Centre for Food Safety has also summarised the issues surrounding this technology in Going Backwards: Dow’s 2,4-D-Resistant Crops and a More Toxic Future Exposure to 2,4-D.
Superweeds are dominating the discussion at the American Chemical Society (ACS) symposium, being held in Indianapolis through Sept. 12. Not surprisingly, the solutions proposed include different toxic brews in tandem with stacked genetic traits in a never-ending chemical arms race with Mother Nature. Currently, 218 different plant species are herbicide resistant, two dozen specifically resistant to glyphosate, the killing agent in Monsanto’s Roundup, Bayer’s Garden, Syngenta’s Touchdown, and in Dow’s Durango. It’s used ubiquitously on lawns, gardens and farmland. Superweeds infest over 14 million acres in the US. Young must have missed those classes explaining how bio-resistance works. Repeated use of the same class of pesticides to control a pest (whether weed or insect) can lead to artificial selection for pesticide resistance in the gene pool. Those whose genes allow them to survive the pesticide reproduce. It’s simple and undeniable. You wouldn’t have herbicide resistant superweeds without herbicides. Citing a recent study out of the University of Washington, filmmaker Zofia Hausman told me, “Herbicides do in fact create herbicide resistant weeds!” In the final stages of production, the documentary, The Agtivists, should be released Spring 2014. All articles are copyrighted by the authors, and any reprint permission is subject to each author’s discretion. https://laudyms.wordpress.com contains copyrighted material the use of which has not always been specifically authorized by the copyright owner. We are making such material available without profit to our readers under the provisions of "fair use" and in accordance with Title 17 U.S.C. Section 107 in an effort to advance a better understanding of political, economic and social issues. Questioning authority, defying perception management, and encouraging critical thinking. My name is Claudia Woodward-Rice. I like to share information (which may be both a blessing and a curse.....) and I hate preaching to the choir.